Heaven'sForce was a Christian Metal band from Fort Worth, Texas, with a short period from 1983 to 1984. The band was formed by Kelly Berger on bass, Christopher Richie on guitar and Dave Gryder in the Main voice in the drums. After posting these demos the band disappeared without a trace. Heaven'sForce is considered the first Christian thrash metal band by the encyclopedia of metal (www.metal-ARCHIVIES.COM), also by the people of Open Grave Records, and the zine of Christian Metal "White Throne" This is because to their demos are earlier than those of other Christian trash metal bands, as Deliverance, VengeanceRising, Tempest or Believer. I dare say that this is the first interview that someone has done to a ex member of the band, along more than 30 years. For me it is an honor to be been able to interview Dave Gryder, who was the lead singer and drummer of this band. 1. The first thing I would like to know is this, How and where the band was formed? We know that the band was formed by Kelly Berger on bass, Christopher Richie on guitar and you were the drummer and vocalist of the group. How did you meet? 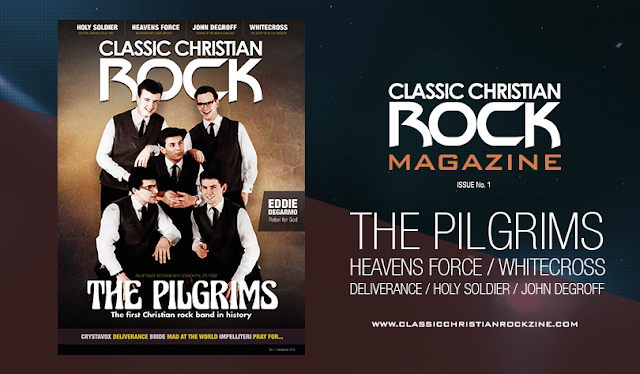 and how they decided form a Christian Metal band? Dave: In late '82 or early '83, I can't remember exactly, I was in a band called Mistress with Kelly. After Mistress broke up, Kelly and I decided to form a new band. Kelly had known Chris for a long time and even went to High School with him, so he asked Chris if he was interested. Fortunately he was, so we started jamming right away. Initially, it wasn't a Christian band pese, we just wanted to play heavy rock. 2. What were the Musical Influences? Dave: In the beginning it was just hard rock. We had all grown up listening to heavy bands of the '70's and early '80's. 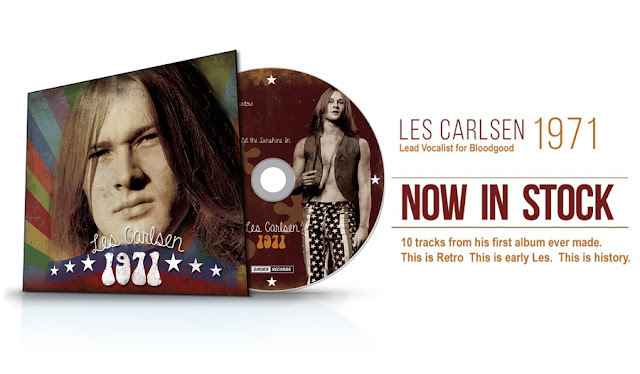 Everything from Grand Funk, Deep Purple and AC/DC to Judas Priest, Iron Maiden and Saxon. When Metallica's "Kill 'em All'" came out in '83, I was blown away. It was much faster and heavier than anything I had heard previously. It influenced me tremendously and I really wanted to play metal in that direction. Thrash was like a new sub genre of metal and I felt it was the future of metal. Then when Slayer's "Show No Mercy" came out and completely destroyed "Kill 'em All", that's when I really knew it was the way to go. Even though I loved "Show No Mercy" musically, I hated the lyrics. I always found the Satanic lyrics of Slayer (and other bands) extremely juvenile and pathetic. These guys were writing about how great Satan was and how they wanted to follow him. I thought, "if they ever even saw the Devil in person, they would have wet their pants and ran home crying to their mommies and daddies". Also, a big attribute of the thrash metal scene was a very anti poser mentality. Because so many lame metal bands would dress up and wear make up and "pose" to look a certain way that was fake and disingenuous. So all these guys, writing Satanic lyrics, would put down the others for posing, when they were posers themselves. They didn't really worship the Devil, they just wanted to act like it, to make their band and music seem heaver and more intense. They were no better than the bands that they were accusing of posing. Hypocrites! That's why lyrically, I wanted to counter all of the idiotic and hypocritical Satanic lyrics of bands like Slayer, Possessed, Mercyful Fate etc…. So I wrote about I what I believe is true and eternal. Chris, Kelly and myself all felt that way. You CAN be a heavy speed/thrash metal band without writing about lame, juvenile topics that you don't really believe in. 3. Where does the name of the band? They had thought of another name before? Dave: I came up with the name but I honestly don't remember where I got it. I wanted a name that said we were heavy but not Satanic. It just seemed to fit. 4. Tell us about your live presentations. How would you describe the "Shows" of the band? There is something special that you remember? Dave: I don't know if there was anything special, other than the types of gigs we got. We were young and very eager to just get out and play so we would take any gig that came our way. I remember one early show, we played at an outdoor rollerskating park. It was both interesting and embarrassing. There we were, jamming away while hordes of kids just skated around us, completely oblivious to what we were doing. 5. 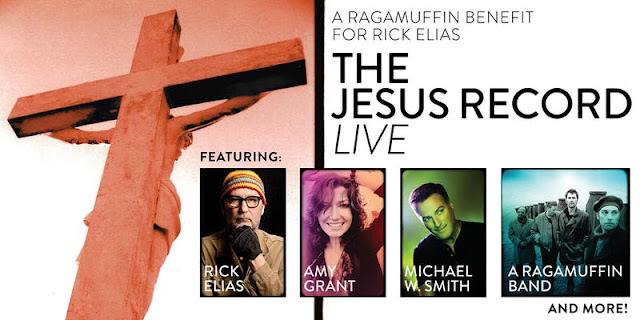 At some point played alongside other Christian bands? Dave: Not that I'm aware of, it was just the local bands of the time. I do remember opening up for Pantera a few times. 6. In 1983 you published "Aggresive Angel" with four songs, I like to know who wrote the songs? Dave: I wrote "Aggressive Angel" I co wrote "Slaughter the Beast" with Chris. Chris wrote "Don't Tell Me" and "Hell Lover" was a song from a band that Chris and Kelly were in before I met them. 7. 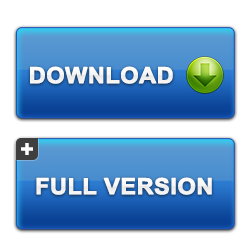 In 1984 you published "Heaven's Force" with four Music Themes, who wrote these songs? 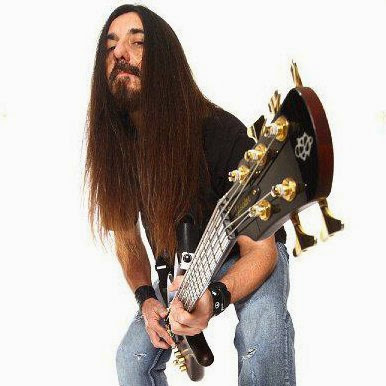 Dave: I wrote "In League With The Priest" and "Heaven's Force" "Deliver Us From Evil" was written by all the members and Chris wrote "Second Coming"
8. What happened after recording these demos? Why not record a full album? In what year and because they abandoned the project, which was what led them to take this decision? Dave: Again, we were very young and didn't really think too much about the future of the band or what kind of success we would have. We just wanted to play music and that was pretty much the extent of it. I remember sending the demo to a couple of labels but I didn't get any responses. We only recorded short demos because of the expense as we obviously didn't have financial resources from a label. 9. They had support from other people, friends or family? Dave: Not financially. Sure, we had friends that came to the shows and stuff but that's all I can remember. 10. "Heavens Force" was doing a really new sound in metal music in his time, the Trash Metal began in those years with bands like Slayer, Metallica, Anthrax and Overkill, just to mention a few. From where comes the idea of playing this style of music? The sound of "Heavens Force" can be compared to the Beginnings of Slayer. 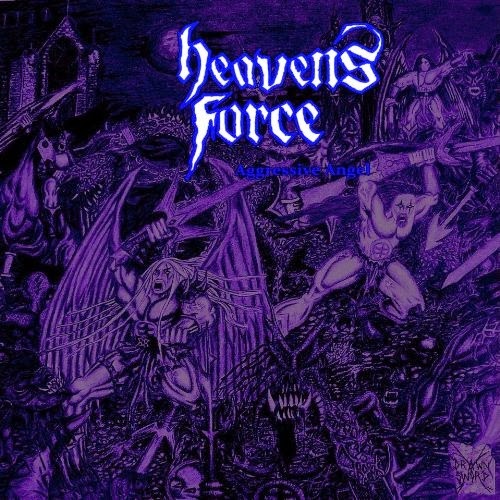 In some way I think, "Heavens Force" would also be one of the first Trash Metal bands in the world, while they were not a well known band, and that not recorded any disk, what do you think about this? Dave: Again, it goes back to hearing LP's like "Kill 'em All and "Show No Mercy". I wanted to play thrash metal comparable to those LP's but without the retarded lyrics. 11. Although very few people know that existed a band called "Heavens Force", you would be the Pioneers of Christian Metal Trash, because its demos are older than those of the bands "Deliverance", "Vengeance Rising", "Tempest" and "Believer", what do you think about this? Dave: I find it interesting but you never know what's out there. I mean, there were so many bands back then and there could easily be demos laying around older that ours. Very few people even knew who we were until recently so it's hard to say who was first. I would be cautious in saying we were the first. 12. I read in the Encyclopedia of metal that Christopher Richie died in 2008, it is true that it was a suicide? Dave: Unfortunately, it is true. Honestly, I don't know any of the details. By that time, Chris and I hadn't spoken in many years. One day, I received a message from his wife, telling me that he took his own life. I was completely shocked! 13. As you remember to Christopher Richie, there is something special you want say about him? Dave: In my opinion, Chris was one of those guys that if you couldn't get along with him, you couldn't get along with anyone. He was such a nice guy and so down to Earth. 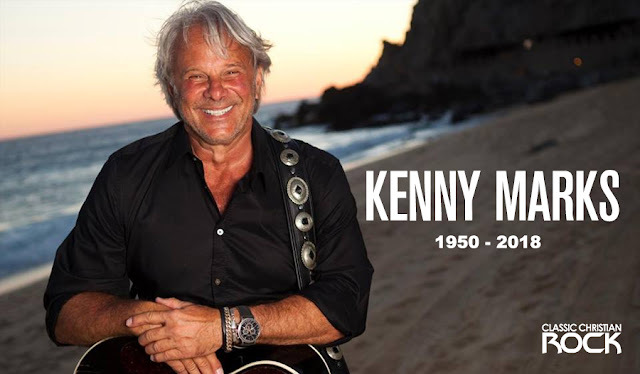 Also, he was an excellent guitarist and a great singer too. I'm certain a lot of people miss him, including myself. 14. What can you say about Kelly Berger during the time you were together? Dave: Also, a very cool guy and very easy to get along with. 15. In July 2009 "Open Grave Records" released a CD with demos of "Heavens Force". As they discovered the music of "Heavens Force"? why do you think they decided to release the album, and in a limited edition, I know that only 500 copies were released? Dave: Honestly, I have no idea. I didn't have any role in the release, other than supplying the tapes. 16. Some people have said the album of the year 2009 released by “ Open grave Records", does not have a biography, there is not pictures inside the album, only are the lyrics of the songs, and the size of the letters are very small, That can tell us about this ? Dave: This issue is still shrouded in mystery but the main reason is that, I never had any photos of the band and I'm fairly sure Kelly didn't either. The only person who might have had photos was Chris but after his suicide, I didn't want to bother his widow with such a trivial request. She had serious issues to deal with. 17. The 2009 album contains all the demos of the band, except the song "Dont Tell Me" from 1983, Why this song is not included on the album? Dave: I know a lot of people aren't going to like this but I omitted the song simply because I just didn't like it. I never felt it represented what the band was all about. "Don't Tell Me" is more of a commercial AOR love song and from my perspective, we were a heavy rock/metal band. At the time, I tolerated the song because a band is a democracy so I had no choice. Sorry but I have to be honest. 18. What happened after finishing with "Heavens Force" in 1984?, I know you've had other musical projects and also Kelly Berger, What happened then with Christopher Richie? Dave: Actually, I never had any involvement with Kelly after Heaven's Force. We simply parted ways. 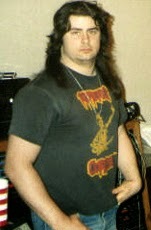 In '85, I helped form another thrash band, Rotting Corpse. Between '86 and '90 we released 3 demos. We got a record deal from Cemetery records in France but the deal fell through. 19. At some point they met again, or at least thought of a reunion? Dave: No, Heaven's Force couldn't exist without Chris. 20. What means "Heaven's Force" for you? What else you would have liked to have done in this band? 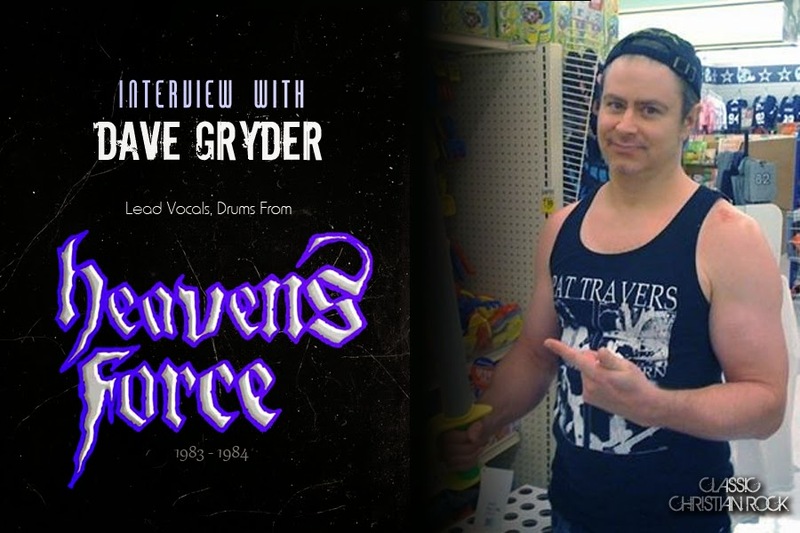 Dave: Heaven's Force was my first "real" band and I will always have fond memories. One of which, is from one of our very first gigs. As usual, we were playing at a club that did not cater to metal at all, so our response was less than receptive. People were treating us like lepers. Shortly after breaking into our second song, "Hit the Lights" by Metallica. (We use to play a lot of covers) I remember looking down from the drum riser and there was a couple actually dancing. Yes, dancing to "Hit the Lights"! A thrash metal song with a chorus in 15/8 no less! After the other people in the club saw this, they all started checking us out and it turned out to be a pretty good gig. Insane! The only thing is that I would have liked to have released a full LP but it just wasn't meant to be. 21. Is there anything you would like to share with us to finish this interview? Dave: Thank you and everyone who has supported the band throughout the years. It's amazing that there is still interest in Heaven's Force after all these years! Rock On! Thank you very much for having Taken the time for this interview, it is an honor for us, God bless you!